Jim Perko wrestled at Normandy from 1971 to 1974. Jim was a three time All League Wrestler at three different weight classes. In the 1971-72 season, he wrestled at 138 lbs, in 1972-73 at 145 lbs, and in his senior year at 145 lbs. In his senior year, Jim was voted the team’s Most Valuable Wrestler. Jim also served as the Team Captain during that same year. 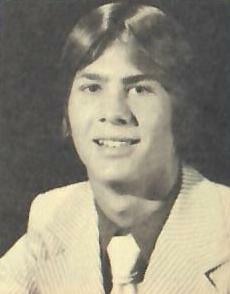 Jim was a three time, back-to-back-to-back Sectional Champion from the 1971-72 season through the 1973-74 season. Jim was a two time District Champion in both the 1971-72 season and the 1972-73 season. Jim was a two time State Placer, with a fifth place finish in the 1972-73 season. In the 1973-74 season, Jim finished Runner Up in the State Tournament. His coach, Jim Kalin, described Jim as a wrestler with tremendous skill and natural ability. Coach felt that Jim was always in control on the mat and gave maximum effort.